Have you cracked or broken your laptop screen? Don’t panic, this repair will cost a lot less than you think and we are only too happy to quote you the best price for your laptop screen repairs in Brisbane. Most laptop screens can be fitted from anywhere between $200 and $250 and this cost will be dependant on the type of screen you have. We offer upfront honest prices and we don’t charge you by the hour and the best thing is we can have your screen replaced while you wait in less than 30 minutes. If you are looking for Laptop screen repairs near you then we are your go-to guys on the Northside of Brisbane. We are a shop front, which means you can drop in anytime, no need for an appointment and we will have you back in business in no time. We understand that you need your laptop to stay in touch with family and friends and also your work so we strive to get it back to you as soon as possible. We specialise in all makes and models and different sizes with very competitive prices. All of our work comes with a 12 months warranty, but we like to give you a fixed price first so contact us for a fast Quote now. What’s even better is that we hold stock of most models so a very fast turnaround time is guaranteed for you. We also offer a 12 month warranty on all our fixes giving you customer satisfaction every time. 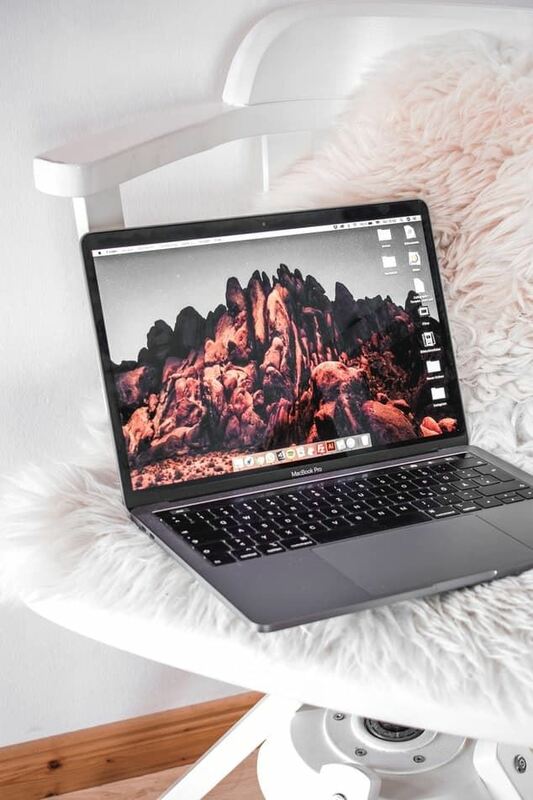 If time isn’t on your side you can text the details of your laptop to 0404406628 and we will text you back with a quote for your new laptop screen. If you are in the local area we can collect and return to you once the job has been completed, call us on 3613 0029 for service. Contact one of our experienced staff for a free Quote and the fastest repair time in Brisbane. If you have broken your laptop screen and can no longer use your laptop, there is no need to panic this can be repaired from as little as $200, fitted with a 12 month warranty, and best of all, it will only take 30 minutes to repair as we keep most common LCD screens in stock. Standard (HD) high definition LCD screen $200 fitted, this covers most basic laptops. So if you are in need of a laptop screen replacement, we can help! We are just a call away. We can replace anything from 10 inch to 17 inch laptop screens and we repair any brand of laptop including Asus, HP, Dell, Toshiba, Lenovo, Acer, Compaq, Sony and all Macbook screens too. Has your screen been impacted and the touch does not respond? Send us through your details or call us on 3613 0029 and we can quote you a price. The newer touchscreen technology is fantastic but there is always the risk of damaging the touch or lcd and this does come at a high cost, as the two are normally fused together as one unit making the repair cost excessive +/- $500. These screens can be replaced, however we like to give you a fixed price first as these can be a lot more expensive than a standard LCD screens. These screens include not only your digitiser but the LCD screen too, so often the whole screen assembly needs replacing which is more expensive. Our prices are completive though so be assured we will try and give you the most competitive price we can. You are welcome to text your laptop details through to our shop number 0404406628 we can text you back with a price. We also offer a free pickup and deliver for our local service areas. This area includes Albany creek, Alderley, Arana Hills, Ashgrove, Aspley, Enoggera, Everton Park, Ferny Grove, Ferny Hills, Kedron, Keperra, McDowall, Mitchelton, and The Gap. A cracked laptop screen can harm your experience and make it difficult to focus on the task at hand. You value your laptop and take every possible step to keep it in top shape for as long as possible, but accidents can still happen and catch you off guard. How does your laptop screen get cracked you ask? A laptop screen is a very delicate item, similar to a mobile phone screen and nearly everyone I know has managed to break one of these at some stage in their lives. It can happen at the blink of an eye, just close the lid of your laptop and forget that there is something small like a pen on the keyboard and the screen is gone Cracked. Sometimes people pickup their laptop with the screen opened and this will apply unneeded pressure to the lcd and crack the screen, so great care has to be taken when opening or closing the screen. If you want someone to give you a hand and address the issue, we can do the job. When you enlist the help of our experts, the technicians on our staff will remove your cracked screen and replace it with a new one. Your laptop will look as good as it did when you first bought it by the time we finish the task. If you have noticed a small black dot on your screen while your laptop is running, you have a dead pixel. New monitors have many tiny lights that appear and change colours to give you a high-resolution display. Since some pixels can go bad much sooner than others, dead pixels can occur when you least expect them. You should keep in mind that the dead pixel might have been on your screen for a while before you noticed it. But once you spot the problem, a dead pixel is next to impossible to ignore. If the dead pixel on your screen is driving you crazy and you need a fast solution, you can come to us for laptop screen repairs Brisbane you can trust. We can sometimes fix the dead pixel without needing to replace your entire screen. Our team will find the fastest and most affordable solution because they value each client who walks through our doors. Having a distorted picture on your monitor is another problem that can stop you from enjoying your laptop. When you face this issue, you don’t have to let it force you to replace your laptop because our team can uncover the source of the problem and repair it sooner than you likely thought possible. In these situations, we often find that outdated driver software is to blame, but that is not always the case. You could have a bad connector cable that needs replaced. Let us know about the issue and when you noticed it, and we will help find a solution that makes sense for you and your laptop. Some people come into our shop with laptops that have white or coloured lines through the screen. Most people notice one or two lines at first that later grow into many more and block the screen, and they want to know whether or not our team can do anything to help. We can usually fix this issue without giving you a new screen, and you will save a lot of money. We start by removing your screen and checking the connector cables that link the screen to your motherboard. While this approach does the trick 90 percent of the time, we can even replace your screen to resolve the problem if needed. You might have turned on your laptop and noticed that your screen won’t light up at all, leaving you with a blank screen. Several issues could be at the root of the problem, and some are easier to solve than others. Some people change their screen’s output settings without noticing what they did, and we can restore your screen to the default settings to get it working again without delay. In other cases, you could have a bad screen or connector cable. If you think your screen is not running at all, you might want to take a closer look so that you don’t choose the wrong path. Shine a light on your screen and determine if any display is present. If your screen has a display but won’t light up, your backlight has stopped working. Luckily, fixing the backlight does not cost as much as replacing the whole screen. When you have a backlight go out and come to our shop for help, we can get you back out of the door within 30 minutes. Our team will learn about your situation and replace your backlight without wasting any time, and you will be pleased when you see us in action. Great service by really nice people. Nothing is too much trouble. Recommend them every time.